Iyan M. Bruce is an animation producer, and currently, the Director of Global Entertainment Content Strategy, Marketing and Distribution for Mattel, Inc. 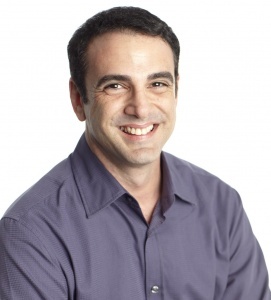 In this role, he is responsible for the co-development of strategic content plans for Mattel’s IP portfolio and manages the company’s global home entertainment, digital, SVOD and international theatrical marketing iniatives driving billion dollar Mattel brands including: Thomas & Friends™, Monster High™, Hot Wheels®, and Barbie® – the world’s largest children’s film franchise. He also leads global entertainment marketing for Mattel’s first-ever original series with Netflix, based on the Ever After High™ brand. Prior to Mattel, Iyan served as an animation producer for the legendary Stan Lee and then as a studio marketing professional for both Universal Studios and Sony Pictures. As a marketing professional, he was intimately involved in developing and executing DVD and Blu-ray™ release strategies for over 200 film, television and children’s titles. He is a founding member of the Producers Guild of America, New Media Council. James A. Fino is a transmedia producer in live action and animation. In 2010 Fino co-founded Starburns Industries, Inc., with partners Dan Harmon (Community), Dino Stamatopoulos (Moral Orel), and Joe Russo II (The Simpsons). There, he helped produce the Emmy award-winning stop-motion animated Christmas special, the 2D animated G.I. Jeff special for NBC’s comedy Community as well as Adult Swim’s stop-motion series, Mary Shelley’s Frankenhole, and the Moral Orel prequel, Before Orel. In 2012, Fino assembled the team for Adult Swim’s hit primetime series, Rich and Morty, which is now in its third season. Along with animation projects, Starburns began producing live-action entertainment starting with Harmontown, a feature documentary, which had its world premiere at the 2014 SXSW Festival. 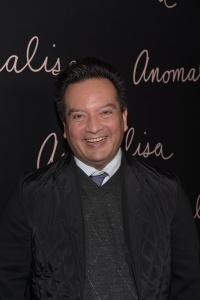 In 2015, Fino served as an executive producer on Starburns Industries’ first stop-motion, independently financed feature, Anomalisa, written by Charlie Kaufman. A film festival darling, Paramount acquired it for global distribution. Anomalisa garnered multiple awards and nominations including Oscar and Golden Globes for Best Animated Feature. Fino and Starburns have recently produced the HBO series, Animals, and the upcoming live-action/animated hybrid fantasy role playing game series, Harmonquest premiering later this year on NBC/Universal SVOD channel, SeeSo. He is a founding member of the Producers Guild of America, New Media Council.